Home is the one place that always makes your family feel comfortable and safe. That doesn’t have to change should a fire occur. Autech uses the very best hardware and software from Honeywell ADEMCO to ensure your family is always safe, even if a fire occurs. From CO2 monitoring to smoke detection, contacting First Responders and automated audio evacuation announcements, Autech offers fire alarm systems that provide the comfort and security that you and your family deserve. Where’s there’s smoke, there’s fire. But there’s not always smoke before a fire breaks out. What happens when heat becomes so intense a fire erupts without warning? 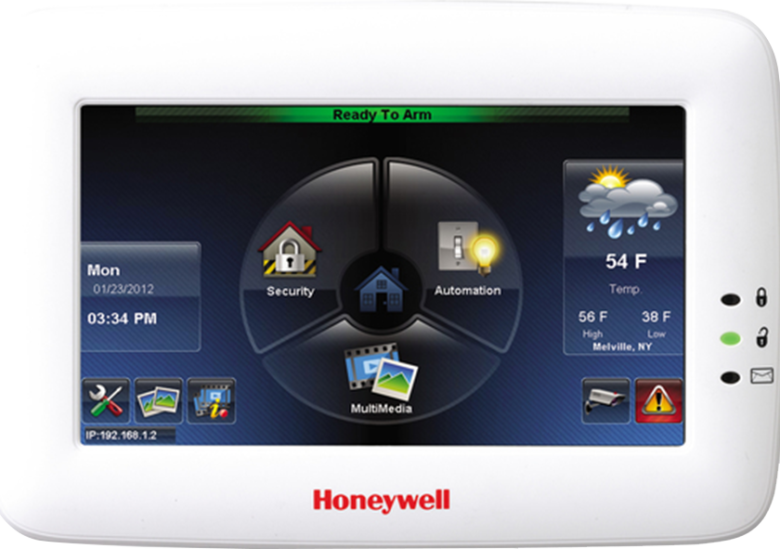 Autech offers the answers and peace of mind you deserve with the latest systems from Honeywell ADEMCO. Using the latest in sensor technology, these systems can detect abrupt changes in temperature, resulting in your family being notified before things get out of hand. Autech offers both wireless and wired systems, ensuring we can handle any and every type of home installation. Wireless systems are often the best choice for historical homes, as well as condominiums and townhomes under strict association regulations concerning third party installations. There are so many options available today when it comes to fire alarm systems. As a distributor, installer and maintenance provider for these systems, Autech wanted to make sure we offered only the best to our clients. Your safety and our reputation depend on it. After a very lengthy research process, we chose Honeywell ADEMCO. Honeywell has years and years of experience in developing and manufacturing state-of-the-art fire protection systems. They’ve been industry leaders, introducing innovative products that enhance the safety of any home in which they’re installed. Autech is proud to offer the Honeywell ADEMCO line of fire alarm systems. Choosing the right fire alarm system can be confusing. The professionals at Autech simplify the process by first looking at your home and listening to your needs to determine what system presents the best solution. We’ll put it all together and provide the product details before installation begins so you can choose with confidence. Autech can install advanced fire alarm systems that actually let you know what’s happening the moment an event occurs. Using heat sensors, CO2 detectors and smoke detectors in conjunction with our advanced fire panels, your system can be configured to notify you wherever you are. Receive a text message, email or other notifications as soon as the system recognizes the threat. In most cases, homeowners receive notifications before even their closest neighbors realize there’s a fire in their neighbor’s home…even though the homeowner isn’t home.